COUNTRY FANS IT'S A DREAM COME TRUE! Rascal Flatts & Dan and Shay will be LIVE! It's a very special occasion, as the incredible Rascal Flatts take to the stage, with their long list of chart topping hits on Friday 10th August 2018! These are one of those groups that have had a number one single countless of times and their fans are a dedicated and supportive team that make every single concert a memorable one. Come and be a part of it! The American country group Rascal Flatts are hitting the road across the US on their 2018 tour, for an exciting show that will blow you away. From the very beginning these guys have done nothing but impress, with their outstanding releases, they have been successful since day one. 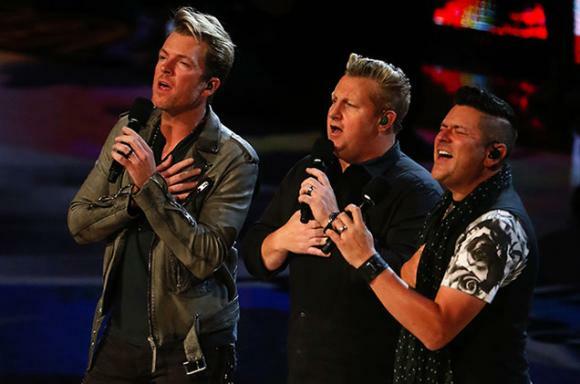 After forming in 1999 – Gary LeVox, his second cousin Jay DeMarcus and Joe Don Rooney. DeMarcus is also a brother-in-law of country music singer James Otto, and formerly one-half of the Christian music duo East to West created the band and have never looked back. Their biggest years out into the world was during 2000 to 2010 when they signed and released through Disney Music Group seven of their own albums, all of which rocketed to the top and certified platinum or higher! This incredible triumph was fully noted by their label and the world and paved the way for non stop touring and sell out shows. Their long list of albums includes….. Rascal Flatts (2000), Melt (2002), Feels Like Today (2004), Me and My Gang (2006), Still Feels Good (2007), Greatest Hits Volume 1 (2008) and Unstoppable (2009). After Lyric Street closed in 2010, they moved to Big Machine Records, for which they have released four albums and one Christmas album: Nothing Like This (2010), Changed (2012), Rewind (2014), The Greatest Gift of All (2016), and Back to Us (2017). Come and show your support and sing along to some of their greatest classics and latest material as they take to the stage at Hollywood Casino Amphitheatre. There's no time like the present to grab tickets! !